The latest Splinter Cell game sees a character overall in the voice and look of Sam Fisher. The new game acts as a reboot to the character of Sam Fisher but not for the series. Sam is now in his late forties instead of late fifties, and has a new voice actor, who is admittedly not all that bad. The story sees you back in the secret spy game full time, and you are now in charge of the, previously unheard of in Splinter Cell games, 4th echelon. The story involves a terrorist group who has made a list of American targets that will be attacked every few days until America pulls all troops out of foreign soil which the call the Blacklist. See where the title came from? The president entrusts Sam and his team to be the stopping force for the threat. One of the missions will take you to Guantanamo Bay where you basically have to break in and then back out. I will say that I was expecting this mission to try and be controversial and show inmates being tortured and what not, but the only time somebody is “tortured” is when you are trying to get information out of your target. You also have side missions that you can get from each member of your team, that when completed will unlock special items in your gadget list. The missions are usually get in and capture this person or gather this information, with the occasional mission being survive several waves of enemies. The graphics are a slight improvement over Splinter Cell: Conviction. There are a few times where you will get some clipping or graphics pop in. Basically the usual problems you see in a game that uses the unreal engine. One of the most impressive things to me was that Carlo Rota played the main villain and they modeled his actual likeness in the game and it looked quite nice. The game play is very similar to the mark and take down style that you saw in Conviction. Now that you are employed by the government you have access to more weapons, gadgets, and suits. This lets the player customize their load out to fit their play style, and you even get points based on how you take out bad guys in one of three scores basically combat, stealth, or one that is a combination of both. There are some new enemy types added in this game one is armored enemies that you can’t just take down head on or even with a mark take down you have to either sneak up behind them and knock them out or do an air take down. Finally, the biggest change in this new game in the series is they brought back the traditional spies vs mercs multiplayer. The last time this mode was in a game it was a big let down the changes they made in double agent was a huge disappointment they had basically changed everything that made that mode fun especially on the side of the spies. So I was a little hesitant to get excited for this mode to come back. Well I was wrong they brought it back to what made the spies vs mercs mode in the old games so much fun. The only down side is you are dependent on the team mate and in so many times with random multiplayer matches your teammate is usually a lone wolf, and it can make matches very one sided. By this time in the games life I didn’t see many people online, and I was playing on the PC so it might be different on the console versions. This is not a full fledged review as much as it is me simply adding on to Ryan’s review. Since acquiring a Wii U I have taken to Gamefly to try all of the non Nintendo titles. Back when I had a 360, I missed out on Blacklist. I had played the original Splinter Cell on Gamecube and Conviction on 360. In my opinion Conviction was a superior title. 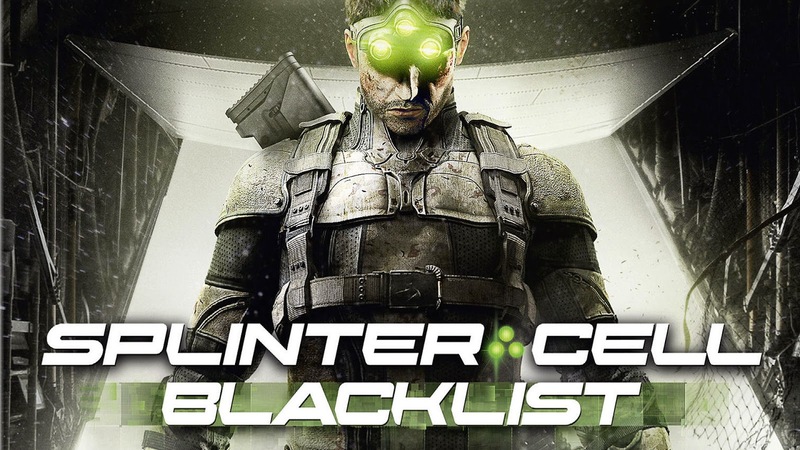 Blacklist feels more like a game that is somewhere between Conviction and the Splinter Cells of old and it is great! I enjoyed it thoroughly and agree with Ryan about pretty much everything. Nothing is more satisfying to me than sneaking up on someone and stabbing them with no one else noticing. The way the game rewards you based on play style is cool and being able to adjust your loadout to adapt to how you play is neat as well. I found the graphics to be ho hum for a Wii U title but the gameplay is fantastic. 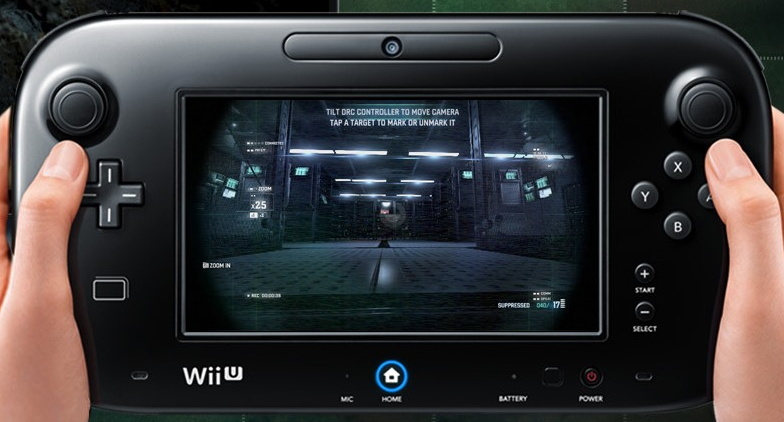 On the Wii U you can play the entire game on the GamePad! Where the game falls short is in the missions where you are using an overhead UAV view to snipe or shoot down vehicles. These portions of the game were the weakest in my eyes and really bogged down Blacklist. Using the Wii U’s motion controls to aim during them was frustrating to say the least. Overall I enjoyed the game and definitely suggest it as a rental. If you have not played the latest splinter cell game then go out and buy it now.